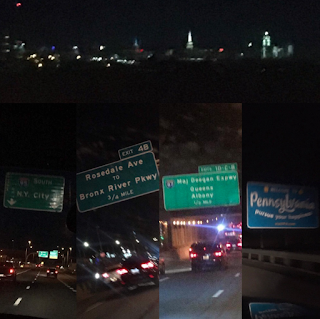 The last few months have seen a lot of travel for us. It has been fantastic to be able to visit and share with folks about the ministry at ANBC. Our most recent journey afforded us the opportunity to visit a number of places while we were on the road. We pushed through the run to Gorrie on Friday, We hit the road at about 6am. 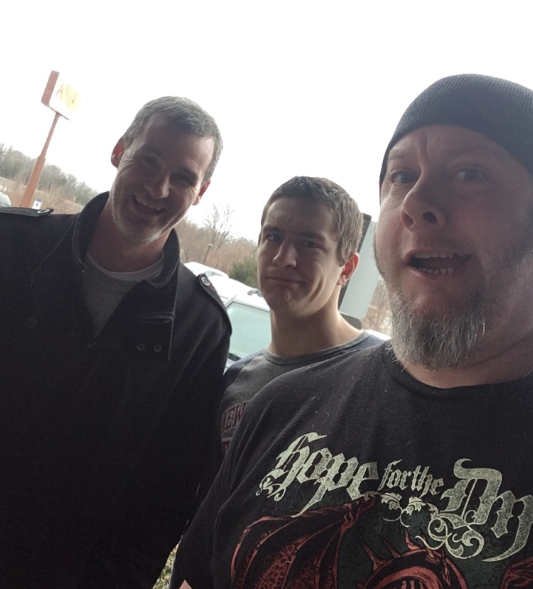 Kyle and I picked up our friend Matt Peppard on the way. Eighteen hours later we landed at Marcus & Kameron Cooks home in Gorrie, Ontario. Early morning selfie as we prepared to hit the road. 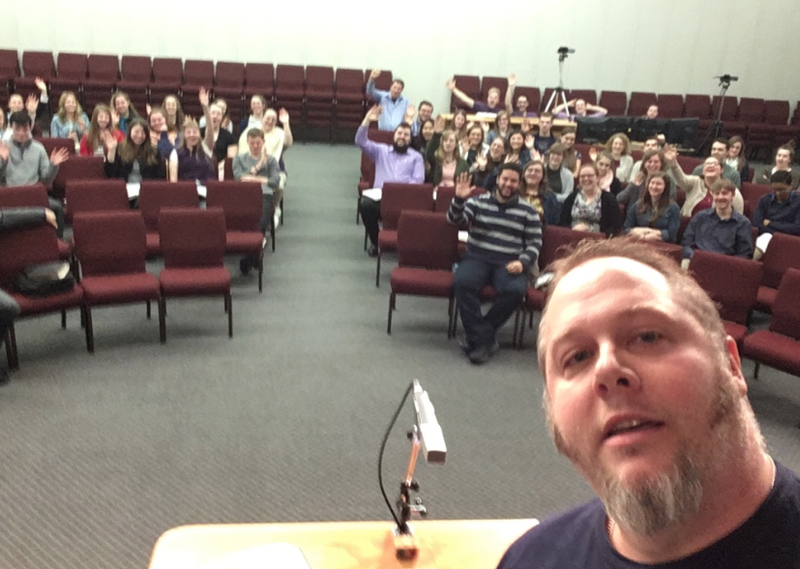 Our first order of business was to host the volunteer training sessions at Gorrie Bible Fellowship. As always it was a great time—we're excited to see what the Lord will do this summer. 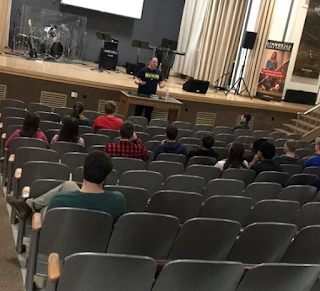 Sunday morning I was asked to give a brief update about the ministry at Arrowhead. It was a privilege to share about all of the exciting things coming this year at Arrowhead. It was great to hang with old friends too! 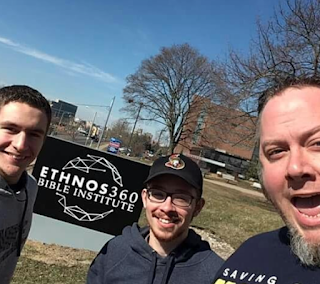 Sunday afternoon we hit the road for Jackson, MI to the Ethnos360 Bible Institute campus. I was privileged to have the opportunity to preach in chapel and share about the ministry of NCEM at Arrowhead. We are looking forward to have one of the students join us for this coming summer at ANBC. Our friends Austin and Jesse are students at EBI. It was great to connect with them while we were State side! We have some friends in Peterborough, Ontario at Peterborough Free Methodist Church. 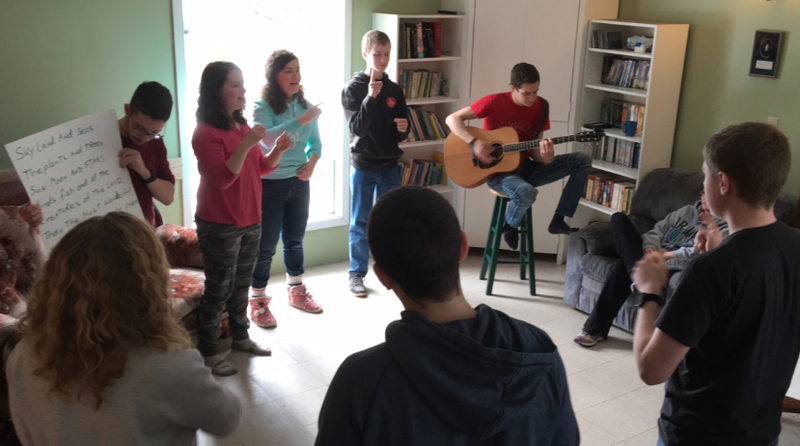 They have been sending ministry teams on a missions trip to Arrowhead for almost a decade. They hosted a Pancake supper at the church while we were in the neighbourhood and we were so pleased to be able to attend and share about what the team will be doing this year when they come. We had a bit of a fender bender while we were on the road. We spent over 50 hours behind the wheel during this week long journey, we are thankful to God for His protection—even during this mishap. The time finally arrived for us to need to say so long to our faithful old Pontiac Montana. It had been given to us as a gift and has served us very well for almost 5 years without incident. Unfortunately the harsh NB roads finally made it a liability for repair. In very short order a Ford Flex became available for a price that was sufficient for us. Although it is still 9 years old, it has a reasonable amount of miles on it and is in fairly good repair. We did have some unexpected work to put into the vehicle - but such is the nature of buying used. We are very thankful to have this new vehicle and hope that it will serve us for another 5 years. 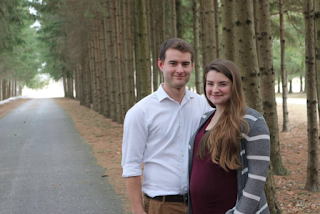 It is with great pleasure and much excitement that we are able to announce that Marcus & Kameron Cook have recently been accepted as candidate missionaries for Northern Canada Evangelical Mission (NCEM). They will be working directly with us here at Arrowhead Native Bible Center (ANBC). It is their hope is to help Arrowhead expand as a Bible Center. 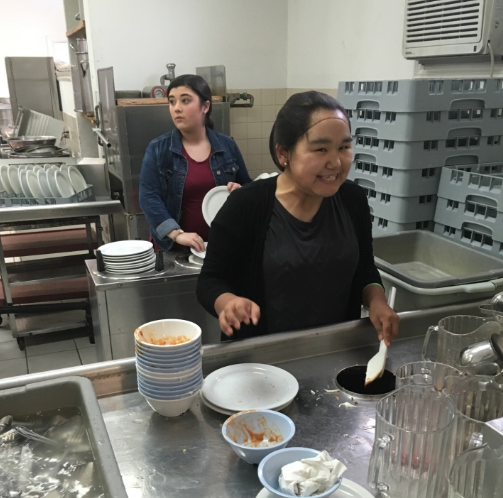 Their plan is to be a part of the maintenance and upkeep of the property as well as working in the bookstore and social media aspects of ANBC to establish these new areas of ministry. 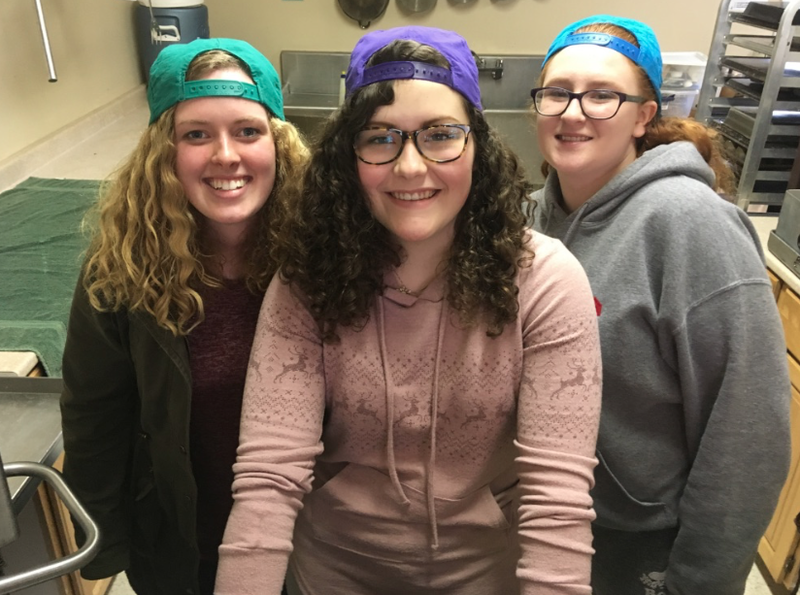 Their passion and long term goal is to start up discipleship programs at the Center for Aboriginal believers. 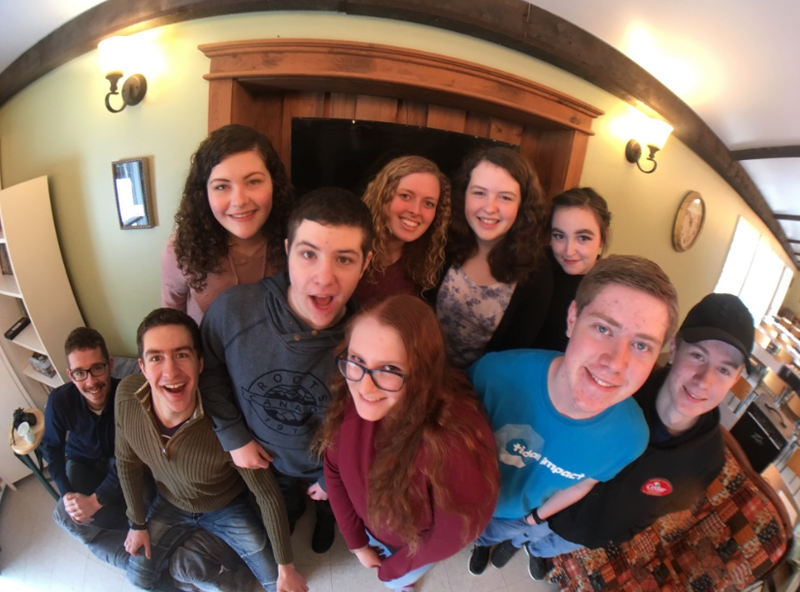 They are especially excited to be living and working more closely with the youth that they already have relationships with. They have been excited to see the ways God has been opening doors for them to be part of His Kingdom work among the First Nations People of Canada. Officially, their title will be "Facilities Manager and Outreach". They hope to move to New Brunswick by the end of this year and are currently looking at housing options, developing a support team, finishing off their current ministries well, and taking Bible school classes to better prepare themselves for ministry. They are also expecting a baby near the end of April. Please join us in praying for the needs the Cooks have as they prepare to come. 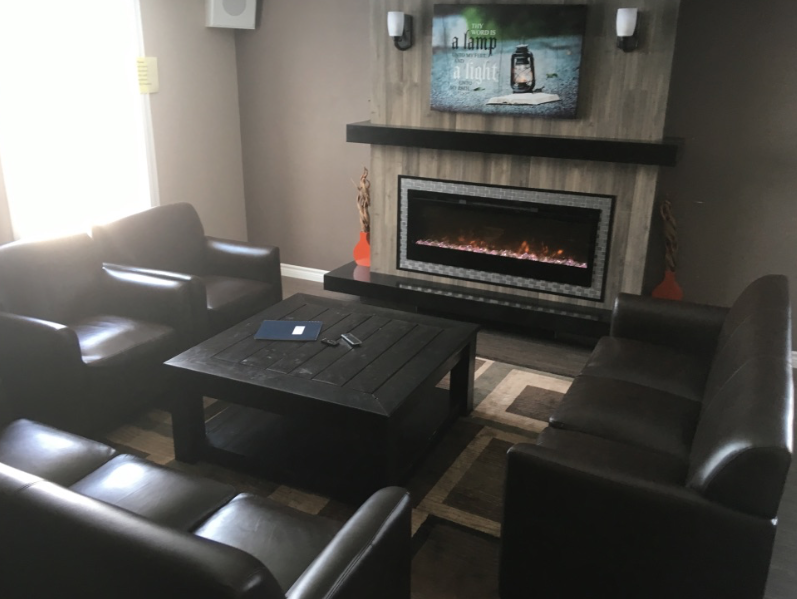 We would love for them to be able to live on site with us, but that would require us to have a place for them to live in permanently and the funds to establish it. Well we did it. 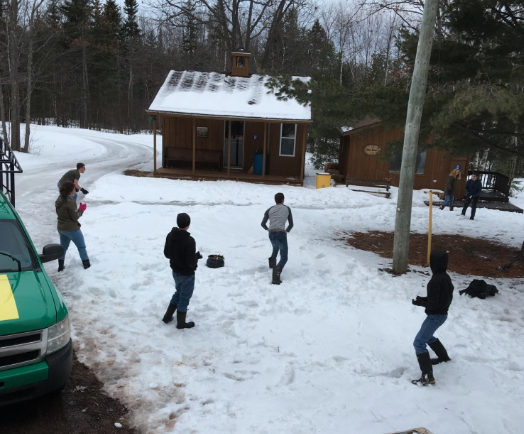 We held our first ever winter staff retreat. 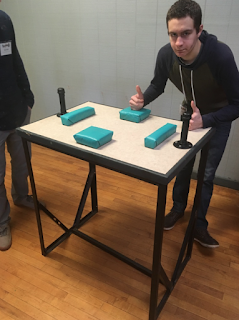 Our purpose was team building. I was pleased with our turnout and with the overall event. We had a lot of fun and looked at a couple of important aspects of camp. And certainly I furnished everyone with shiny new staff application forms before they left! We even made a ridiculous video - you can watch it below. Had a good group out, had a good time. We did a workshop on Saturday afternoon to develop actions for some of our camp songs. Everybody took a turn in the dish pit. There was, of course, a snowball fight. 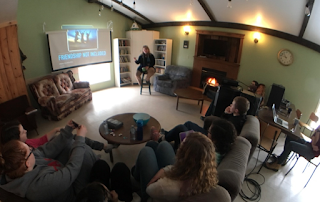 It was a pleasure to have Marsha Boyd-Mitchel from the Christian Action Federation with us to speak to our teens about healthy God honouring relationships. What Not To Do During Liftoff from Arrowhead Native Bible Center on Vimeo. My friend Andrew Henderson is the director of Windcrest Bible Camp here in NB. He has ben asking me for a number of years to join him and travel to the Tweakage conference in the US. This year it worked out that I was able to go, and am I ever glad that I did. Kyle and I enjoyed a great time of fellowship with Andy on the road trip - that alone was an excellent part of the conference experience. Tweakage itself is, without question, the best camp conference I've had the opportunity to take part in. There were 250 people representing over 50 camps from 4 countries in attendance. 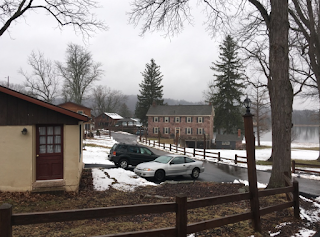 The conference took place at High Point Camp near Reading, Pennsylvania. 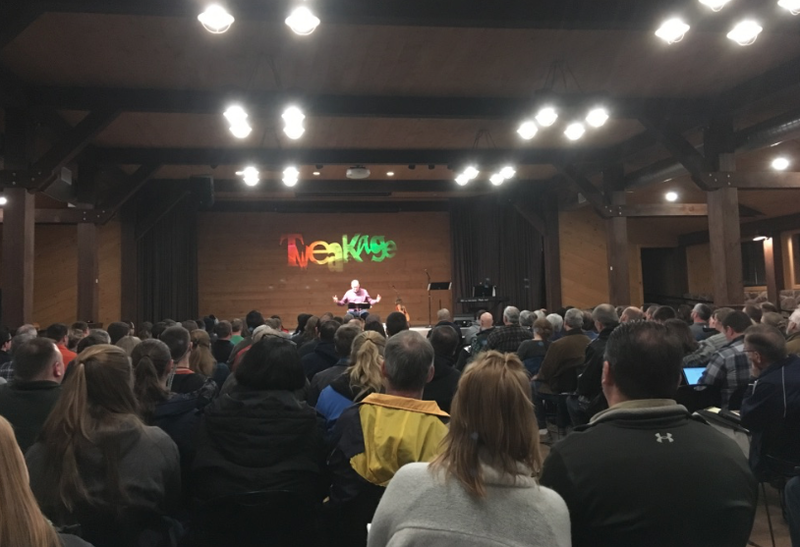 There were seminars covering many of the important aspects of camp ministry. 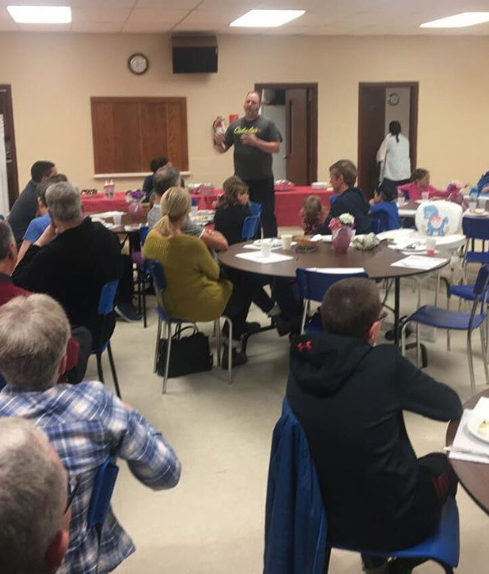 Covering policies, maintenance, program, fun, discipleship, church submission and family; the conference offered sound input from people on the ground. I valued the conversations I was able to engage in and the free sharing of ideas and resources. The benefit to Arrowhead and to me personally is immeasurable. I hope to be able to attend this conference for years to come. And look out for some groovy new ideas that we brought home from Tweakage. 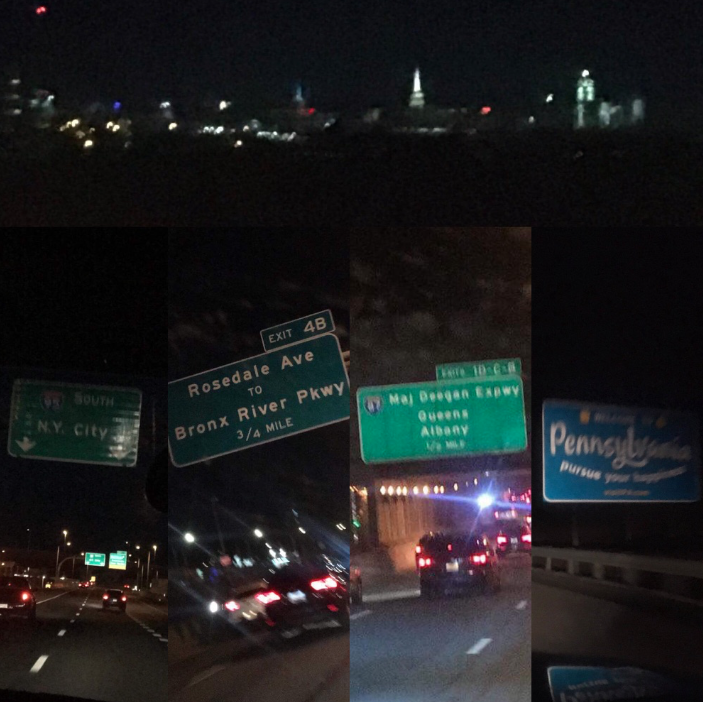 Had an exciting drive down, 16 hours one way, accidentally stuck to the i95, got to see NYC. 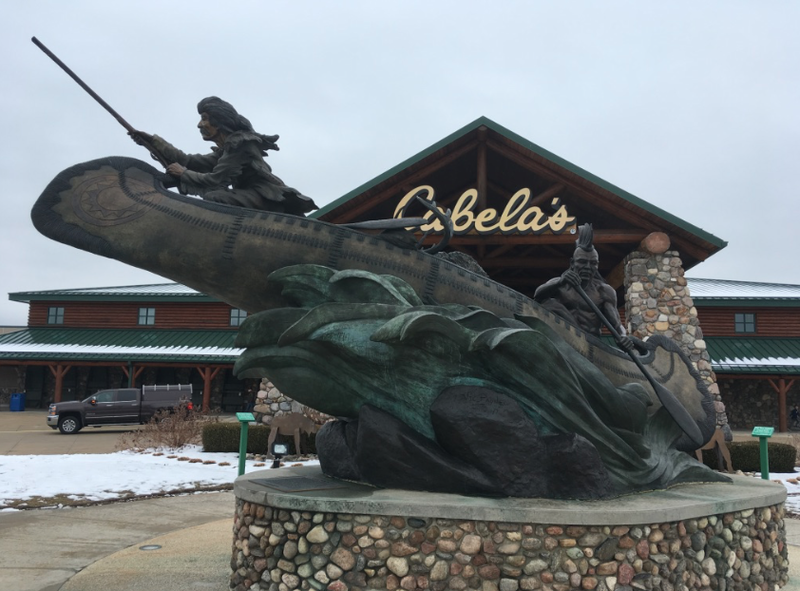 And of course, if you're near the worlds largest Cabela's you check it out. Pretty amazing statue out front. High Point Camp has an amazing coffee shop. High Point Camp has a beautiful property. Anyone who can weld, we'd love to have an arm wrestling table just like this. This one was fabricated from an old bed frame. It's always great to connect with Bible School students! 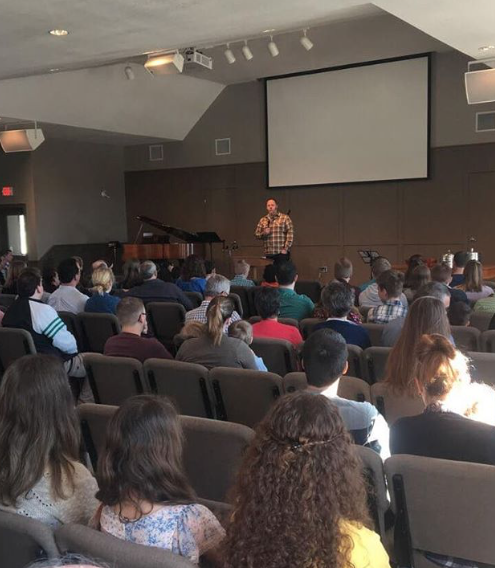 This year Kyle and I visited the school with Andrew Ardern for two days and enjoyed speaking in Chapel as well as taking in some classes and visiting students. Our friend Elisapi is a student at NBBI! They have a lovely lounge in the library. This time of year we take the opportunity to work away at office projects. 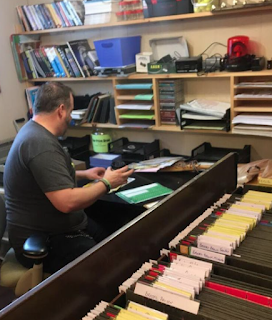 Since coming to Arrowhead as the director, I have slowly been working away at filing all of the camper and staff paperwork from years gone by. This year, with Kyle's help we were able to get all caught up!! Just mind the gap, is an expression of what we hope the Lord can use us for in this ministry. It has become more and more common to find huge gaps in ministry, places where there is a need and no-one to fill that need. There is a great need for labourers, and God calls His people to fill these gaps. It is our hope to minister, in whatever ways we can, to our neighbours, Canada’s First Nations people, that no-one might slip through the gap. September 10-21 • Online Auction "Chapel"
Dove, It was a Good Attempt, but You Still Didn't Get It.